One of the most popular items in our eBay store, would by far have to be the Magnetic Fishing Game by The Fun Factory. 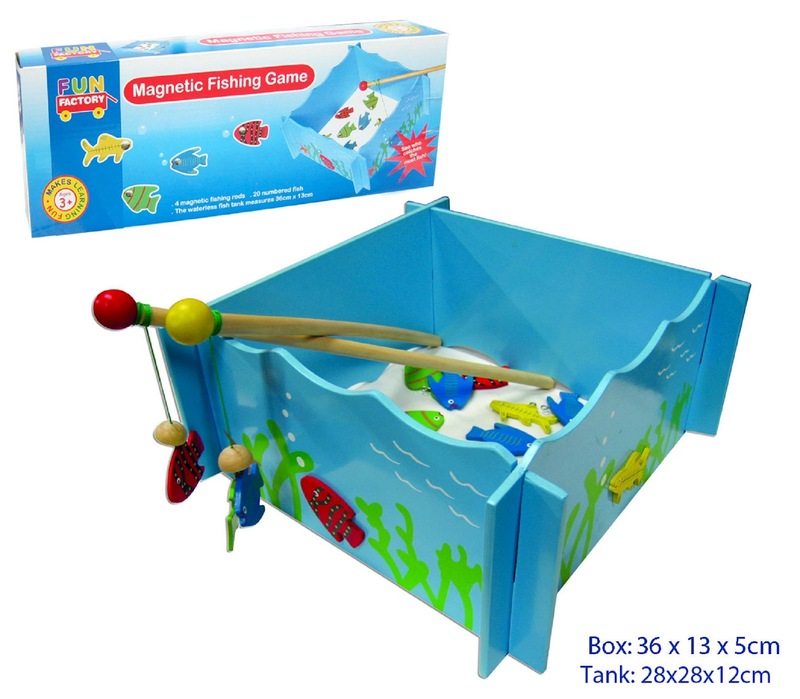 Both educational & fun, the Magnetic Fishing Game would have to be a great gift. The set contains 1 wooden fish tank, which measures 36cm x 13cm, when assembled. The 20 fish come in 4 colours and each are numbered. By using one of the 4 magnetic rods, children take it in turns to go fishing. See who can catch the most fish and add up your score! This game helps the ages of 3 and above, not only to learn colours & numbers, but helps with hand/eye co-ordination. It also teaches children the art of participation & sharing and non-toxic paint has been used on all Fun Factory toys. In our eBay store for $16.99.